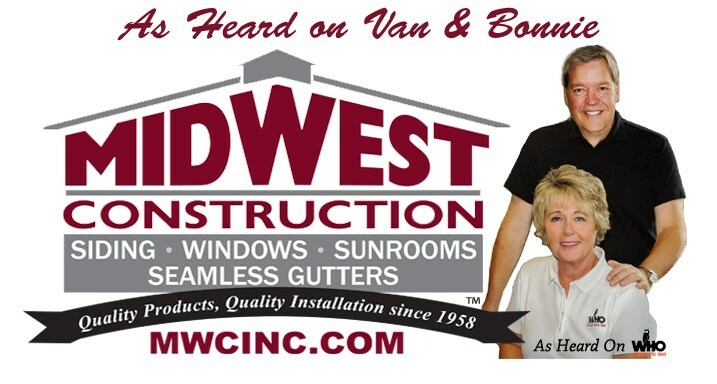 We Say It - Van and Bonnie Say It - Here Is What Our Customers Have To Say About Midwest Construction! Watch the Video Posted Above! Actual Midwest Construction Customers were so happy with our work they agreed to do a TV Testimonial for our company. Quality Replacement Windows, Siding, and More! 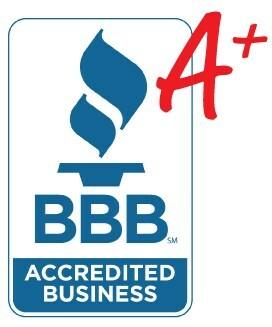 Since 1958, our family-run business has been a trusted name in the remodeling industry, and during our time in business we’ve developed a reputation for the highest-quality exterior remodeling services. Quality products, quality installation isn’t only our motto, it’s our promise to every customer we serve. Stylish Replacement Windows: From awning to picture, we’ve got windows sure to suit the architectural style of your Des Moines home. Durable Replacement Doors: Help your home make a great first impression with a stylish new entry door. High-Quality Home Siding: Insulate your home and protect its structural integrity with high-quality siding solutions from Midwest Construction. Spacious Sunrooms / Home Additions: Want to add more square footage to your home? 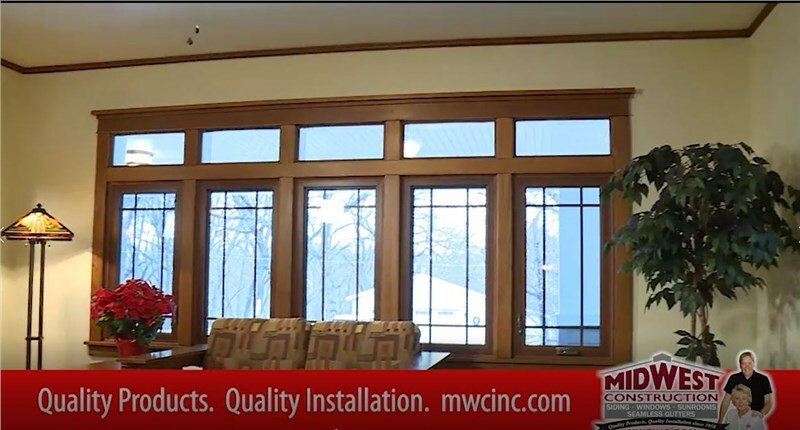 We’ll help you customize a sunroom or home addition to accommodate your needs. Complete Gutters and Gutter Protection: Ensure your roof and home are properly protected from water damage with our gutters and gutter protection systems. When you choose Midwest Construction for your Des Moines exterior home makeover, you’re choosing talented professionals with extensive training and proper certifications. From custom entryway doors and windows to replacing all the siding on your home, we’ve got affordable solutions you can count on for quality, style, and durability. Why wait another day to get started on turning your dream home into a reality? We’d love to help you fall in love with your home all over again through our exterior remodeling services in Des Moines, so call us right away to schedule your complimentary in-home consultation. You can also request additional information and a free, no-obligation estimate of costs by taking a moment to complete our convenient online quote form today.